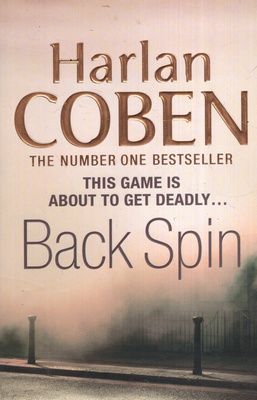 In this classic fourth novel from Harlan Coben's award-winning Myron Bolitar series, #1 "New York Times" bestselling author Harlan Coben proves again why he is one of today's must-read suspense authors--and why Myron Bolitar is one of the most singular and captivating heroes in crime fiction. This time the sports agent and sometime sleuth probes the mystery of a teenager's disappearance and finds a family whose darkest secrets explode into murder. The boy was born and raised on the tony Main Line. But he vanished on Philadelphia's mean streets. For Myron Bolitar, his client, golf superstar Linda Coldren, comes first--and that means unraveling the mystery of her son's kidnapping. But when Myron goes after the missing boy, he crashes through a crowd of lowlifes, blue bloods, and liars on both sides of the social divide. And as Linda's golf-pro husband suddenly makes a run at the U.S. Open championship, the family's skeletons burst out of the closet. Myron is about to find out just how deadly this game can get.